Your story and your project are amazing and wonderful. I much enjoy your photos. Thanks for the shout out, I really appreciate it! Oops, my deep apololgies! I didn't pay close enough attention. I DID know your name is Harry. 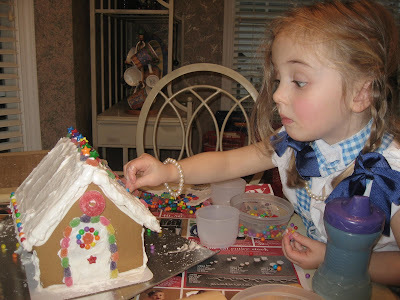 For the record, I myself had nothing to do with this gingerbread house. I just posted the picture. Sydney and her mommy did it all.